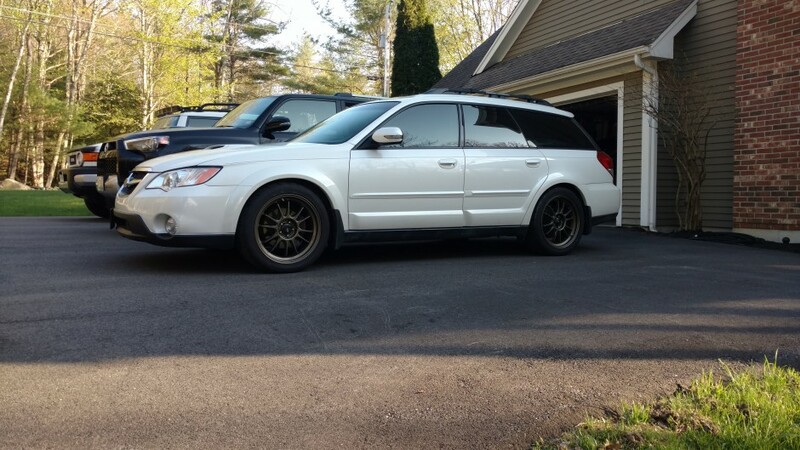 Lowered on Bilstein struts with King lowering springs, 18x8.5 Konig wheels with 255/40 tires all around. Grimmspeed limited catted downpipe with custom full 3 inch cat-back with a valved muffler. And a few other small things here and there.